Star Nations Magazine is a monthly magazine brimming with insights from our contributing writers who share their experiences and wisdom. We bring together spiritual information. 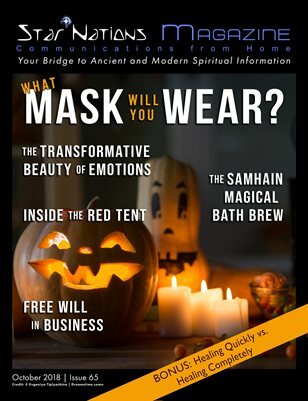 All the articles within each magazine issue are intended to assist you to be consciously awake on your spiritual path in life. We at Star Nations Magazine highlight the positive and seek to empower our global readers.